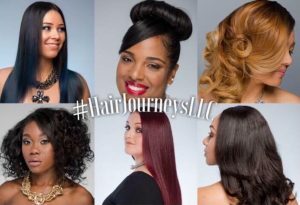 Hair Journeys is a diverse full service salon dedicated to providing consistent hair care for women and men as well as make-up and nail services. We are committed to building long-term relationships by giving our clients a positive and satisfying experience in an enjoyable, relaxing atmosphere. Hair Journeys team of Professionals continue to receive education on the most current styles, techniques, and trends so we can provide our clients with the best quality service. Book your appointment TODAY! For the most up-to-date news and promotions, please visit our Facebook, Instagram and/or Twitter pages.